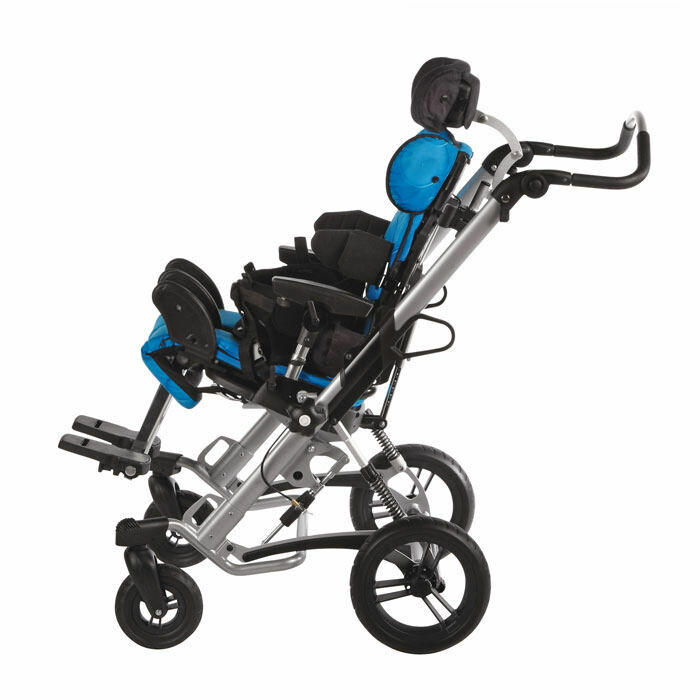 Leckey mygo seating system with kimba neo mobility base has always been about fulfilling the postural and emotional needs of young children and their families. 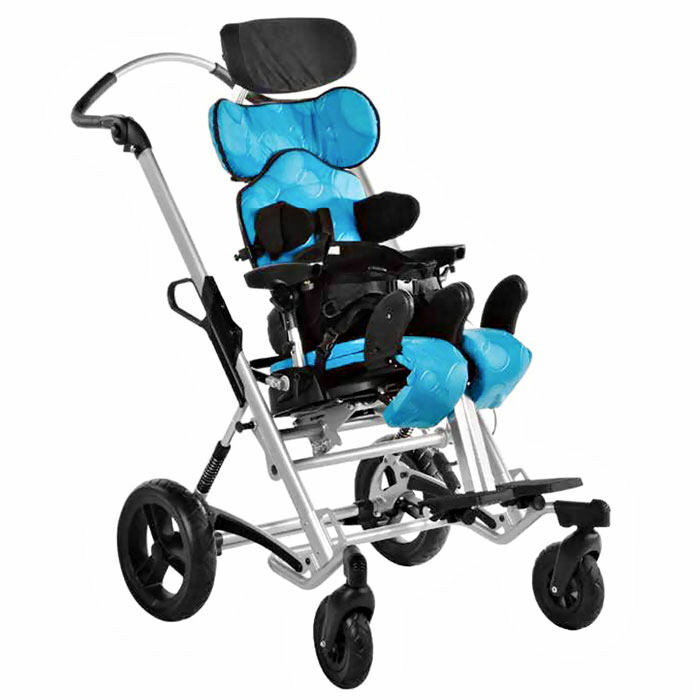 Mygo seating system provides the optimum pelvic stability, trunk and head alignment along with proper leg and foot positioning. 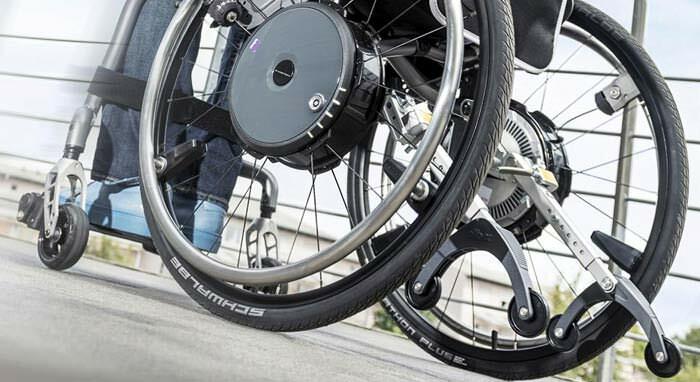 Mygo seating system offers a level of adjustability that makes it perfect for moderate to complex positioning needs in a variety of environments. 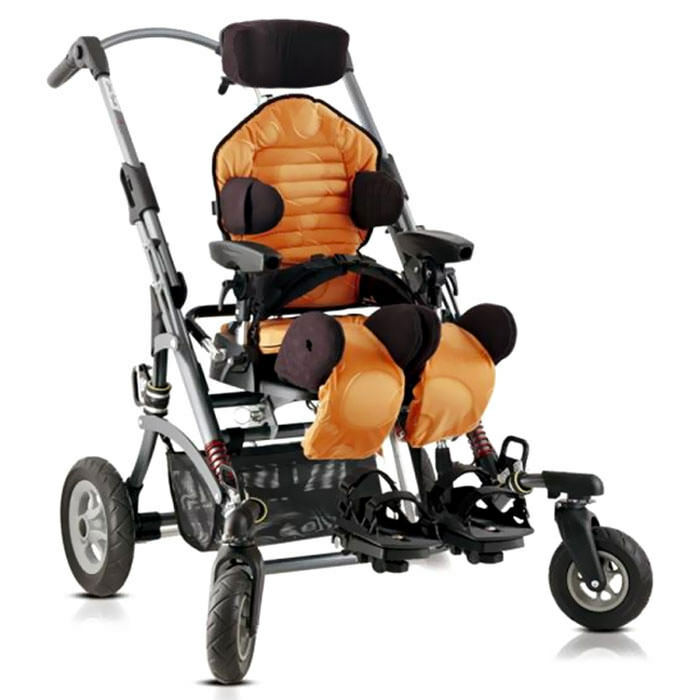 Mygo seating system allows therapists to optimize the postural care of children with moderate to complex special needs. 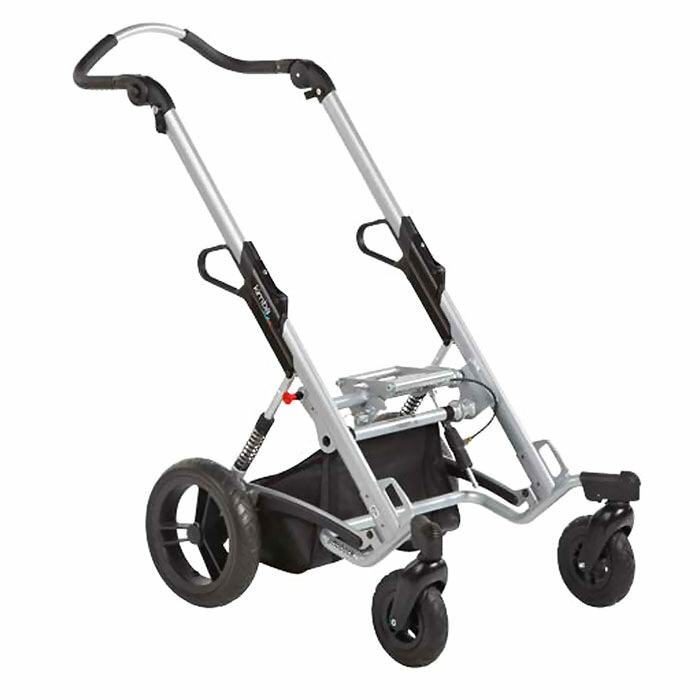 User height range 41.3" - 59" 50" - 66"
User weight 39.6 - 110 lbs. 39.6" - 132 lbs. 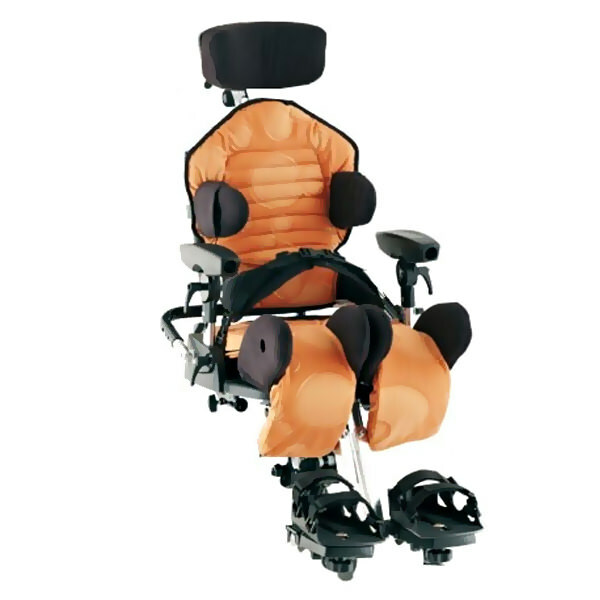 Seat depth 10.6" - 16.5" 13.8" - 18.5"
Seat width 8" - 12.8" 8.7" - 13.6"
Backrest height 14.2" - 18.5" 18.1" - 22.4"
Seat to sandal 8.5" - 13.8" 12.4" - 18.5"
(Distance between laterals) 6.7" - 10.6" 6.7" - 10.6"
Armrest height 6.3" - 8.3" 8.3" - 10.2"
Knee width 3.5" - 4.3" 4.7" - 5.5"
Tray size 21.6" x 18.9" 21.6" x 18.9"
Seat unit weight 22 lbs. 31.9 lbs.